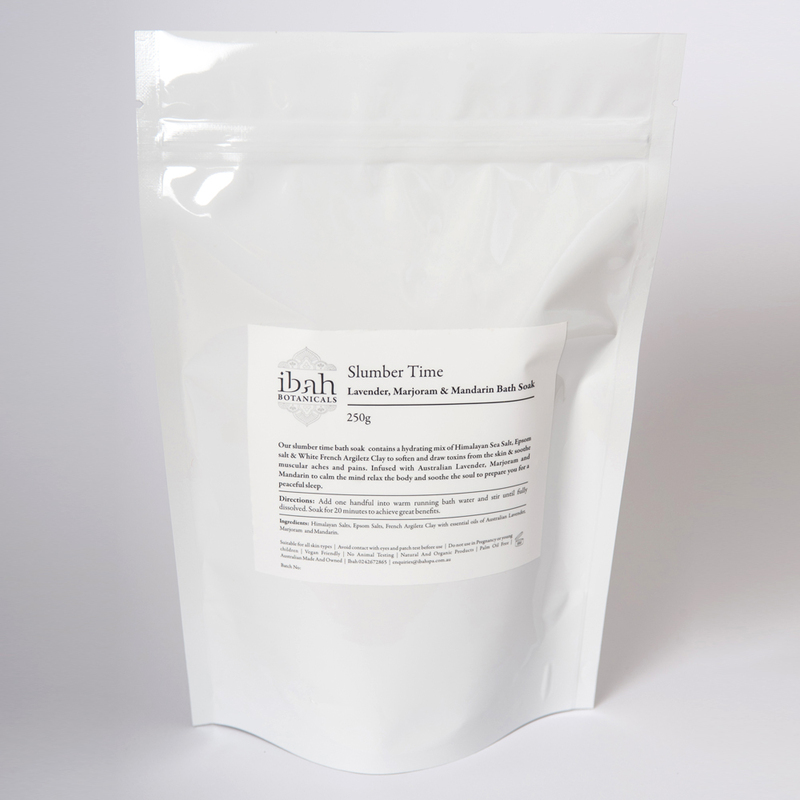 Our slumber time bath soak contains a hydrating mix of Himalayan Sea Salt, Epsom salt & White French Argiletz Clay to soften and draw toxins from the skin & soothe muscular aches and pains. Infused with Australian Lavender, Marjoram and Mandarin to calm the mind relax the body and soothe the soul to prepare you for a peaceful sleep. Directions: Add one handful into warm running bath water and stir until fully dissolved. Soak for 20 minutes to achieve great benefits. Himalayan Salts, Epsom Salts, French Argiletz Clay with essential oils of Australian Lavender, Marjoram and Mandarin. Suitable for all skin types, Avoid contact with eyes and patch test before use, Do not use in Pregnancy or young children, Vegan Friendly, No Animal Testing, Natural And Organic Products, Palm Oil Free, Australian Made And Owned.